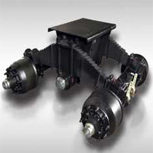 Established in 1986, Arabian Axles is a very popular brand in the Middle East. Arabian Axles produces axles for heavy road transport vehicles and wide range of spare parts for the automotive industry. National Metal Manufacturing & Casting Company (Maadaniyah).